Bandung Trip For Rock Stars | ADDIN | Another way for us to speak.. Bandung Trip For Rock Stars – ADDIN | Another way for us to speak..
We took a different turn from a normal Bandung tour this time. After landing in Bandung, we immediately took a drive away from Bandung to Puncak in Bogor, south of Jakarta. We arrived in Puncak by nightfall. Puncak is also famous for highland plantation, but we were more attracted because of its famous animal safari park. 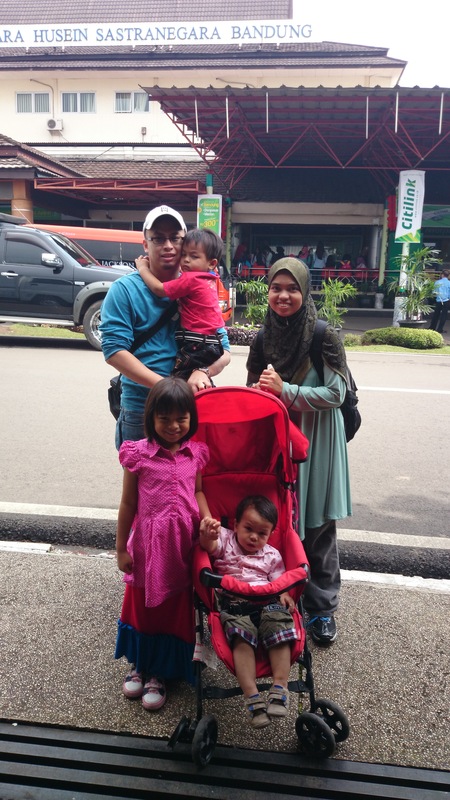 We spent a whole day at the sensational park, and by evening, we would travel back to Bandung. The safari park is one of the best animal themed experience I have been through. Upon entering the park (by car), you will drive through the park seeing the animal exhibits by the road side. Some animals are also free to walk to the road and may approach you for food. We fed many animals from our car window, including zebras, llamas & deers. When driving through the carnivores, we had to close the windows, of course, but the animals kept their distances anyways. Besides the animal exhibition, at the walking area of the park, there are many other shows to enjoy: elephant show, tiger show, dolphins show, and some other shows that we missed. Alas, we kinda went to Bandung in the rainy season. Hence, by afternoon, it started to rain & it became dufficult to walk around. So we actually missed the petting & mini zoo and had to leave sooner. Anyways, I trust we will visit this park again sometime, InsyaAllah. Our theme for this Bandung adventure is mainly geology. Due to my personal interest, we visited the Geology Museum. To me, Indonesia is a geological heaven relating directly to tectonic activities, basin deposition, etc. I planned to visit this museum upfront and my family really enjoyed it. There are real rock & fossil exhibitions, dinosaur & animal skeleton replicas, etc. There is also a section specifically for oil & gas, where I got to show my kids about my work. We really enjoyed the place! As per our theme, we visited one of the geological wonders in Bandung: Mount Tangkuban Perahu, an active volcano last erupted in 1983, and would spit out gas often in every few years. We were lucky enough to be able to travel up the peak, but were unfortunate that a thick fog just caught up some 5 minutes before we arrived. Anyway, we still took the opportunity to take photos, look around and experience the cold up on the mountain. We then traveled back down & headed for a nearby hot spring. Again, visiting a geological site, the Sari Ater hot springs is a natural heating excitement in the cool climate of the highlands. There, we got into our swimming clothes & had nice hot spring dip. As we were entertained by a tour guide, he also was willing to give a foot massage. The hot spring complex also had toilets & changing rooms. There was also a Muslim prayer room. Basically, our Bandung tour was a geology tour, and coming from petroleum engineering background, geology is like our beloved partner that we work hand in hand. We also stopped by at Kartika Sari’s biggest outlet to pickup her famous layer cakes. We skipped Jalan Cihampelas which is famous for cartoon merchandises. That was pretty much our rock (geology) star adventure in Bandung! Alhamdulillah for all the smooth sailing & we hope to be back here someday.